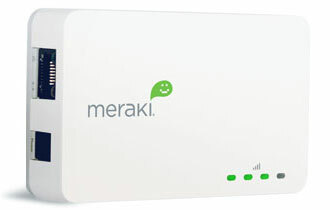 Meraki have just released their latest generation of the Meraki Indoor device. This is essentially an access point which supports mesh networking and while it is “small, sleek, low-profile, with an integrated antenna” it’s also pretty pricey at US$149. If I’m being unduly hard on the device then – well, that’s unfortunate. Meraki initially captured the hearts and minds of the open thinking community by creating a device “Built for hacking” under the premise that they would provide the basic hardware at an affordable price, provide basicÂ meshing functionality through the standard device firmware, and then step aside to allow the community of users to extend it’s functionality and adoption through open source code and thinking. Initially they stuck to this and I love them for it, but as they grew more successful they appear to have left these ideals behind them. The more recent firmware doesn’t allow access to the kernel of the device, you are not ‘allowed’ to remove/edit/change the installed firmware, and the device itself has been restricted so that the hardware is no longer ‘open’ as it once was. This has caused many in the community to shun Meraki for going over to the dark side, and in response, a truly open source solution has been developed using both open hardware and open firmware. The Open-Mesh indoor device sells for US$49 and, in conjunction with the Open-Mesh (or RO.B.IN) firmware, provides the same baasic functionality. Is the Meraki device worth $100 more? Well, it is more asthetically pleasing, which *is* important, the UI is easier to navigate and understand, and they do have support for billing servicese should they be desired in the ‘Pro’ version of the device/firmware. It all depends on how and what you use them for at the end of the day, and how important it is to you to support the open nature of what mesh networking is trying to provide to the wider community.